Eldon Somers has opened the first in a series of events and exhibitions at the Forty Seven LDN Gallery in Camberwell. People of Colour, Colouring will be showcasing work exclusively by artists of colour, in order to promote diversity in the art world. Through artists Alfie Kungu, Lilian Nejatpour, Alexander Ikhide and Rochelle White, the show explores themes of race and heritage. But it does not limit itself to these boundaries, with Nejatpour’s sculpture and installation responding to online dating and modern romance. 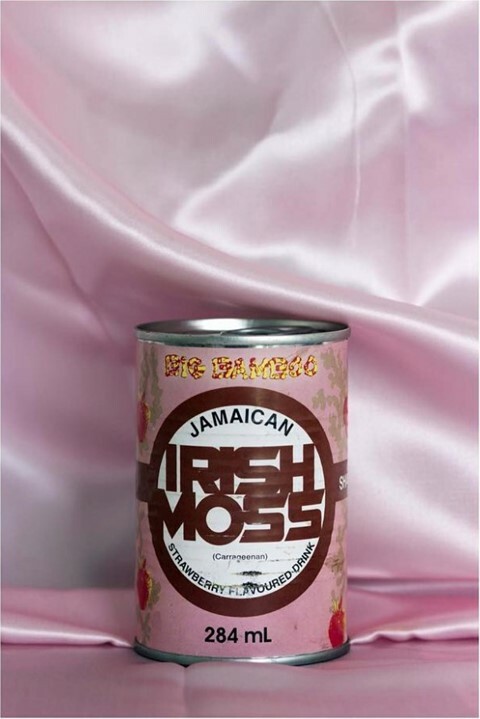 A myriad of multidisciplinary works are showcased, from White’s photography of food products commonly used in Caribbean, Latin and African cultures to Kungu’s spray paintings. “For me, POCC is a step in promoting unity – a celebration of different cultures, ideas, experiences and approaches,” explains Somers. “POCC is also an attempt at levelling the playing field in the creative domain. This is beneficial to those within the sphere and outside of it, as art often reflects and can influence people and the world.” Somers aims to promote arts in south London, giving it the recognition it deserves as an artists’ hub, while celebrating the magnitude of POC talent coming from London right now. Though most artists involved are recently graduated, they have already exhibited their work. 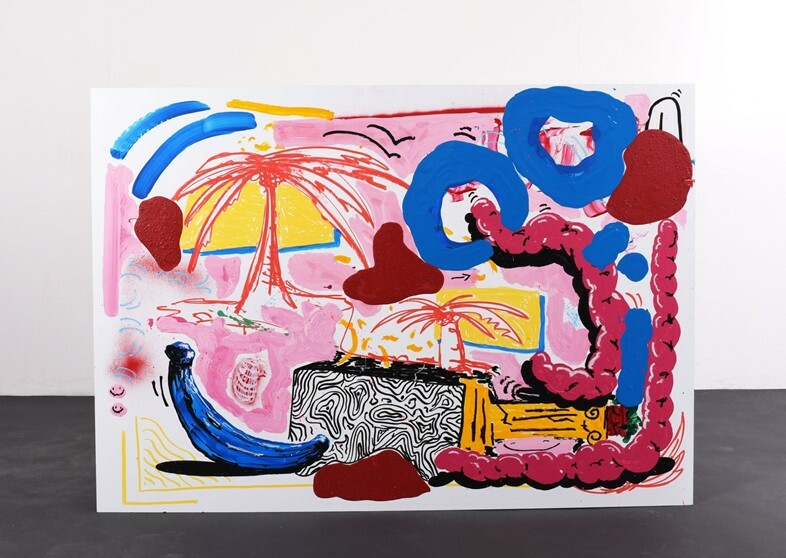 Nejatpour held a residency in Iran last summer and was shortlisted for the Zealous Graduate Art Prize 2016, while White has exhibited across London for African Migration, BBZ Collective and the V&A gal-dem takeover. How did People of Colour, Colouring come about? Eldon Somers: It started with me hearing a lyric by an artist named milo from a 2015 record of his (2015 track ‘An Encyclopedia’). I heard it and thought that would be a great name for an exhibition showcasing artists of colour. Fast-forward and he was playing a show in London last year. I asked for his blessing to use the name and he was excited about the project, so I thought why not also showcase live music, which led to the inclusion of more artforms. So, for each show there will be an exhibition of predominantly visual artforms, accompanied by an event with live music, poetry, dance, fashion or even theatre. I intend to keep POCC as open and diverse as possible. Why did you want to have an exhibition featuring artists solely of colour? Eldon Somers: The emphasis here is on diversity. I believe that offering platforms such as these allows people from many different backgrounds to benefit from and enjoy an array of intimate perspectives they may not have obvious access to. What do the artists bring to the exhibition? Eldon Somers: I’ve known Rochelle and Lilian for a few years now and had met Alexander through a mutual friend. I loved their work and as soon as the exhibition became a reality, I asked them all to show and I’m very happy that they’ve lent their talents. Alfie’s work is fresh and he’s got a great style that is unique to him. Rochelle is a wicked photographer who communicates her experiences very well through her work. We share a similar heritage and when I see her work it takes me right back to experiences and feelings I’ve had myself. But even if you don’t share those experiences, the work can make these perspectives available to you, which is what POCC is all about. Alexander has a great take on multimedia work; he communicates ideas about race, gender and sexuality through his work, but is also not restricted to these themes. I have always loved Lilian’s work. Her ideas are new, exciting and often quite abstract. She uses sculpture, installation and video work to transmit her feelings about modernity and where we may be headed. Tell me about your Kickstarter campaign, which successfully raised £1,200 for the exhibition. What is next for the series of events? Do you have your next move in mind for POCC? Eldon Somers: Diversity is key and so my plan is for POCC to reach as many people as possible. There are so many artists, musicians, designers and creatives from all over the world that I would love to bring to POCC and going forward this is what I hope to do. How is the London art scene looking right now, specifically for people of colour? Eldon Somers: Concerning artists of colour, London is hot right now. There are a multitude of artists and collectives that are working and exhibiting, from visual art to sound, fashion and more. For me, the home of POCC will always be south London. It’s an area that is home to a multitude of exciting artists from the UK and around the world, but often doesn’t receive the encouragement or recognition as an artists’ hub that it should. An initial idea of mine was to promote arts in south London though POCC. With that being said, POCC will continue to grow and I have every intention to take it as far as it can go. Geographically and conceptually.